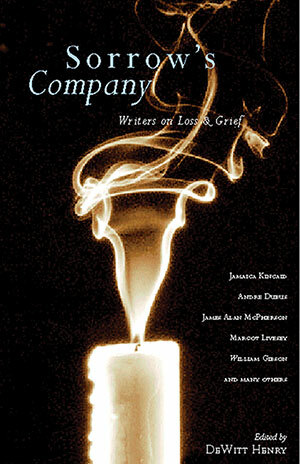 In this volume, DeWitt Henry has collected some of the finest contemporary writing about loss and the grieving process, essays that explore emotional trauma in finely crafted prose. Debra Spark recounts her sister’s death and reflects on all of the ideas that have helped her come to terms with grief. William Gibson writes eloquently of his mother’s passing with a new understanding of the cycles of life. Andre Dubus describes the terrible loss of mobility he suffered in a freak accident, and what his pain and disability taught him about the human will. Transported back to her native Antigua and to all the complexities of a difficult childhood, Jamaica Kincaid confronts her brother’s ostracism and death from AIDS. All of the pieces reflect, in some aspect, the tenacity, the strength to go forward and to love, that has informed these life journeys andthe resolve that “what matters is not what becomes of us, but what we become.” This collection offers a unique perspective on loss, a depth of insight and compassion that only such masterful writers could summon.